You guys! Guess what I made?!! 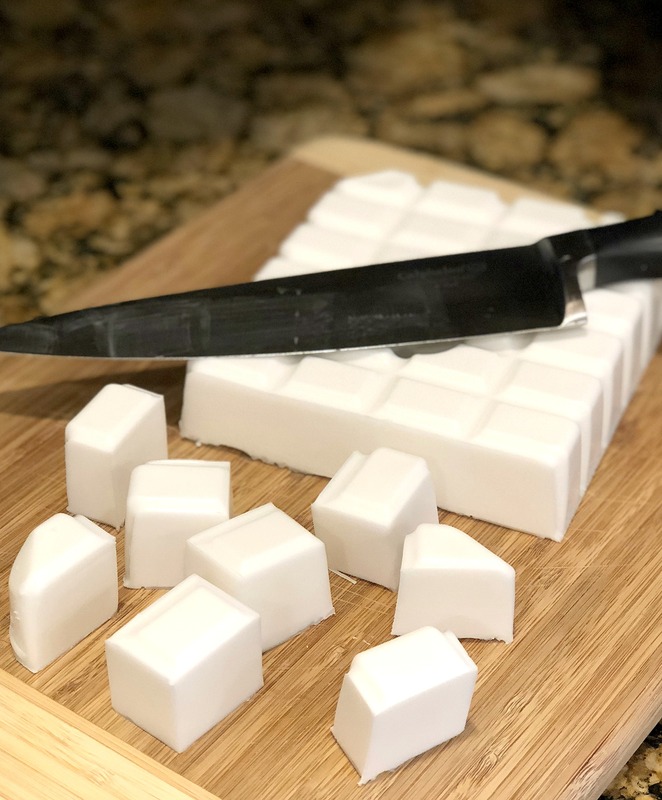 I made my own soap!! 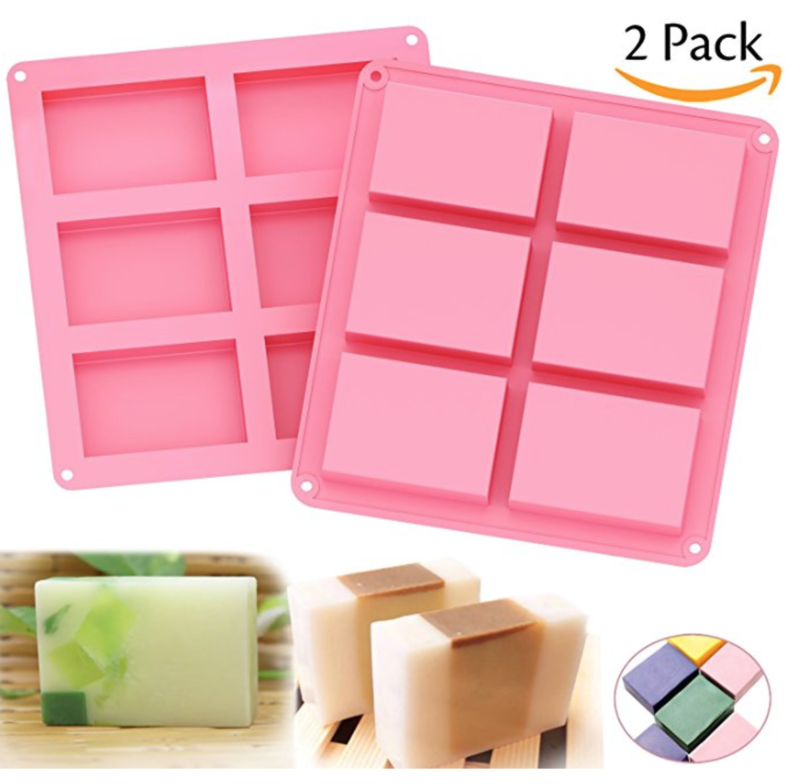 First of all, why would I even want to make my own soap? Chemicals found in common soaps can disrupt our hormones, promote allergies, lead to reproductive issues and increase risk of some cancers. 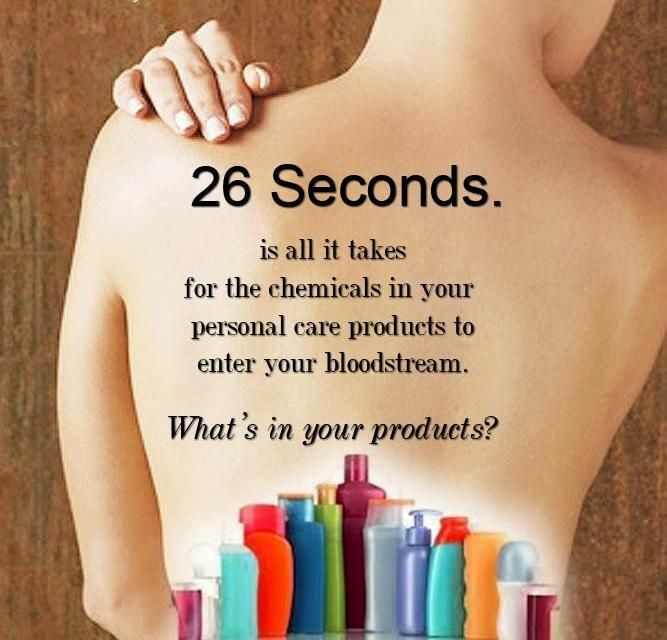 That is why it is so important to look at the ingredients of what we put on our bodies. Fragrance. If your soap lists “Fragrance” as an ingredient, it is probably using that word vaguely to cover up a cocktail of chemicals that could be bad for you.could Did you know the FDA doesn’t require companies to disclose the breakdown of a fragrance’s ingredients to consumers because the chemicals that produce fragrance are considered “trade secrets.” Usually, synthetic chemicals and cancer-causing toxins (like phthalates which make fragrances last longer) are hiding under that one vague word. Repeated exposure to fragrances has been linked to negative impacts on the central nervous system and allergies triggers, migraines, and asthma symptoms. Parabens. These guys are estrogen copycats —meaning once they enter the bloodstream through your skin, the body mistakes them for estrogen. When the body thinks there is too much estrogen present in the bloodstream due to the presence of these hormone disrupters, it may react by decreasing muscle mass, increasing fat deposits, causing early onset of puberty, and creating reproductive difficulties in both men and women. Sulfates. This chemical creates the bubbles we love. The most common are SLS (sodium lauryl sulfate) and SLES (sodium laureth sulfate). Sulfates can strip the skin of its natural oils and increase penetration of the skin’s surface. They can also irritate people with sensitive skin or eczema. Triclosan. Usually found in antibacterial soap, recent studies have found that triclosan actually promotes the growth of a bacteria resistant to antibiotic cleansers. It also creates dioxin, (a carcinogen that has been found in high levels in human breast milk,) which has a disruptive effect on the endocrine system and negatively affect thyroid functions. So if you think about it, we are washing our bodies every day with soaps that contain harmful ingredients which can wreak havoc on our health over the years! And since there is very little government testing on these chemicals, we have to make informed decisions about what we put on our skin ourselves. 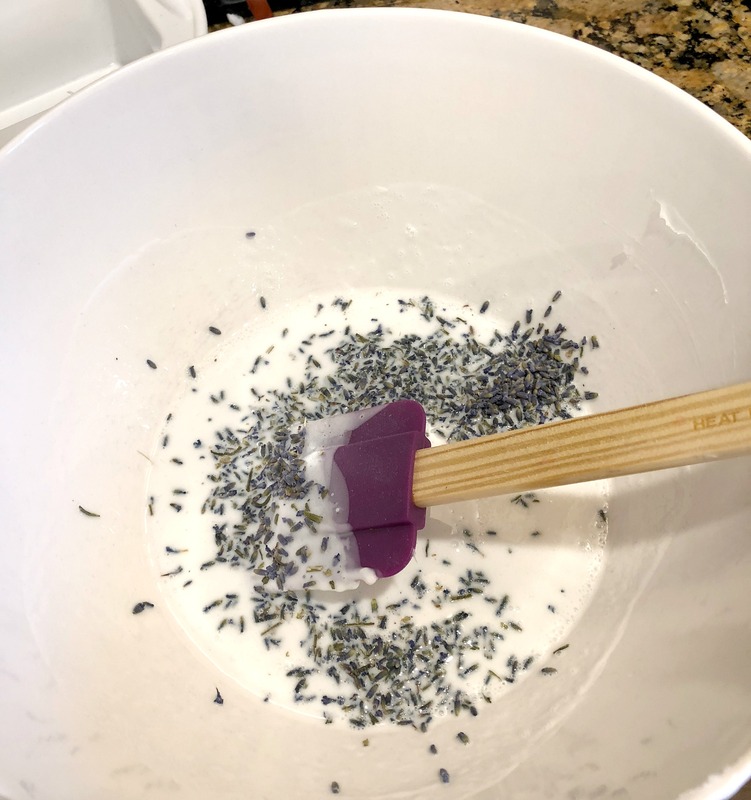 Up until now, I have been using Young Living’s soaps, and will continue to do so, but I just wanted to try making my own for fun! 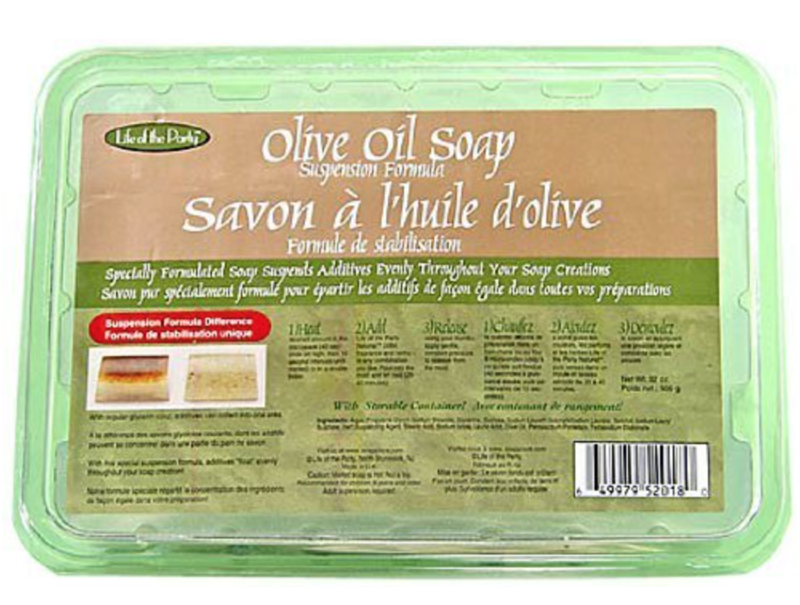 The soap base that I use is not 100% natural, but is waaaaay better than what you can buy at the store. The one “harmful” ingredient that my soap bases had in them was sulfates, the ingredient that makes the bubbles. But to me, it’s the least of the offenders because it mostly affects people with sensitive skin, which I do not have. So I met my niece over her at her house and made our own “natural” soap with my essential oils. We made lemon soap bars and lavender soap bars. 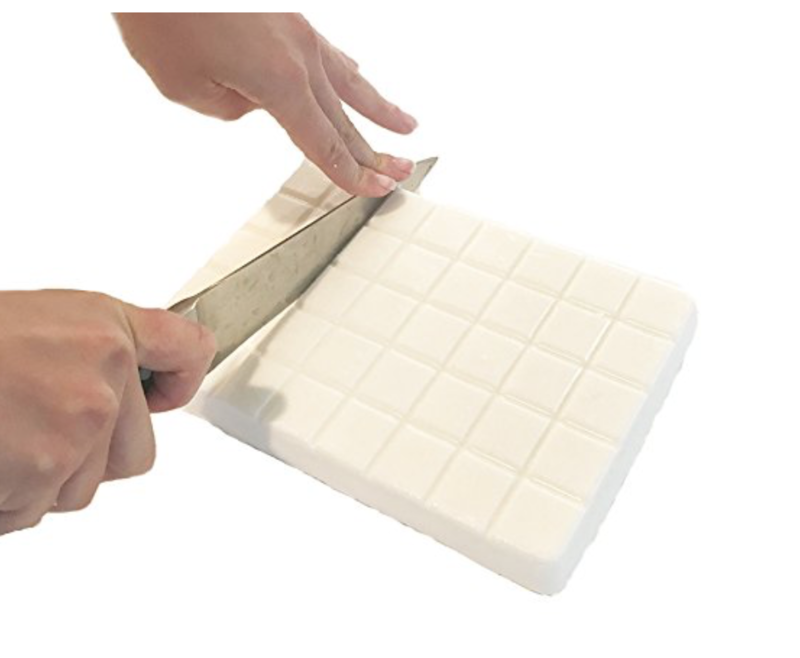 First, we cut up the soap base into small cubes and melted them in a microwave safe dish. I would heat the cubes for 30 seconds, stir, and repeat, until the cubes were melted. I found that 5-6 cubes of soap base was enough to create one bar of soap for the molds we were using. It may be different for you depending on what size mold you use. 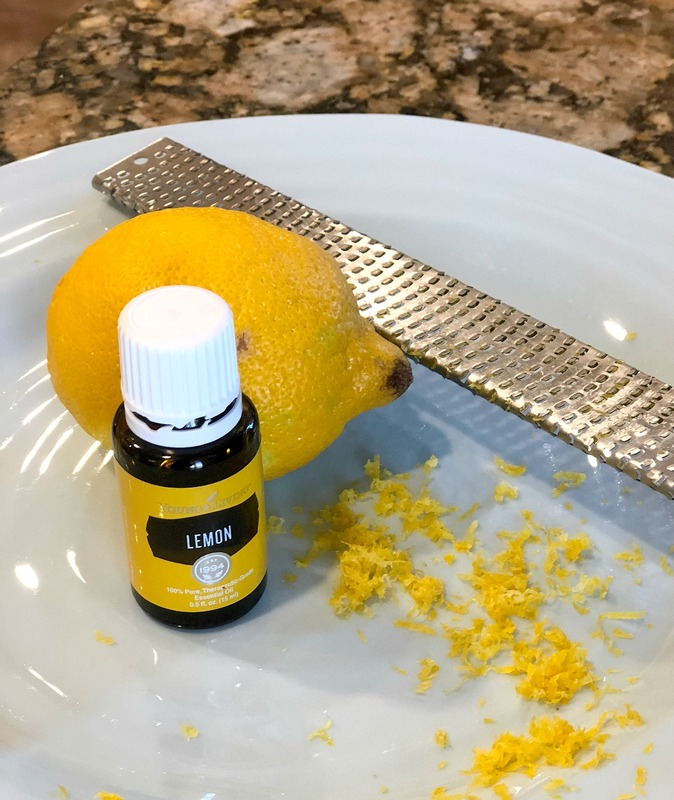 Then for our lemon bars, we melted about 20 cubes of soap based, added grated lemon rind, and about 15 drops of Young Living Lemon Essential Oil. We mixed it all together and poured it in four soap molds. 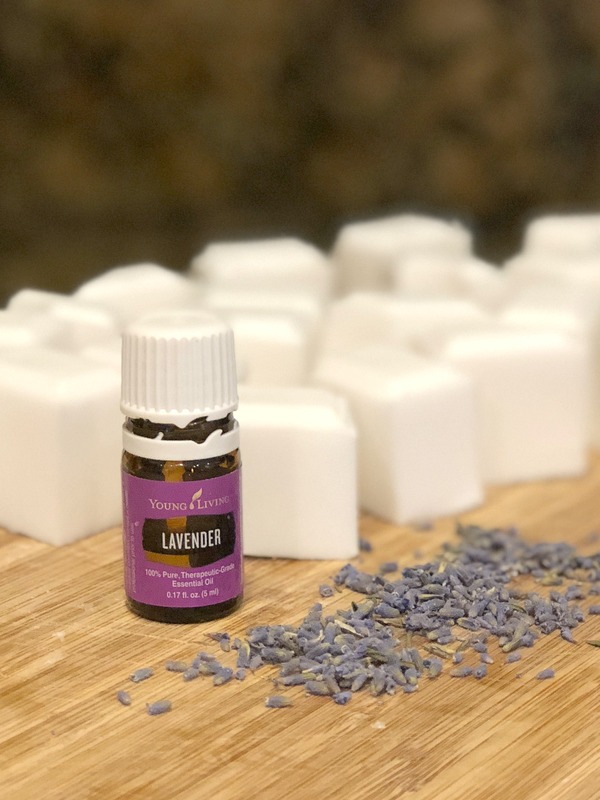 For our lavender bars, we added store bought lavender buds to about 20ish cubes of melted soap base. Then we added about 15 drops of Young Living Lavender Essential Oil. After stirring everything together, we would pour the mixture in the soap molds to set. After the soaps had dried in the molds, we popped them out, and they were ready to use! I’ve been using the lemon one is our shower, and I love it! 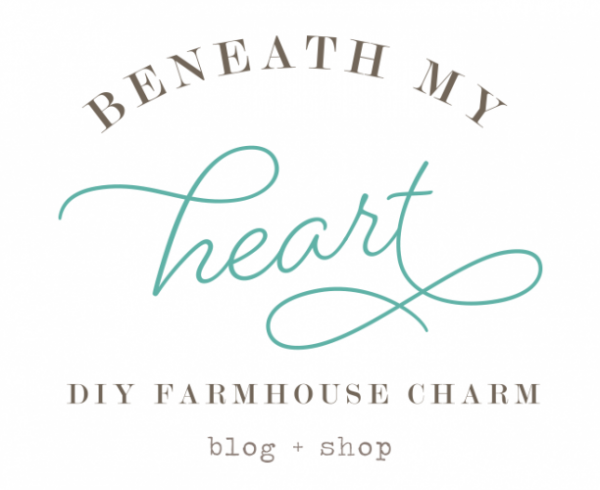 If you would like to make your own soap, I’ve linked to some supplies you will need below. You can get some of your supplies at Hobby Lobby or Michaels, or order them from Amazon below. 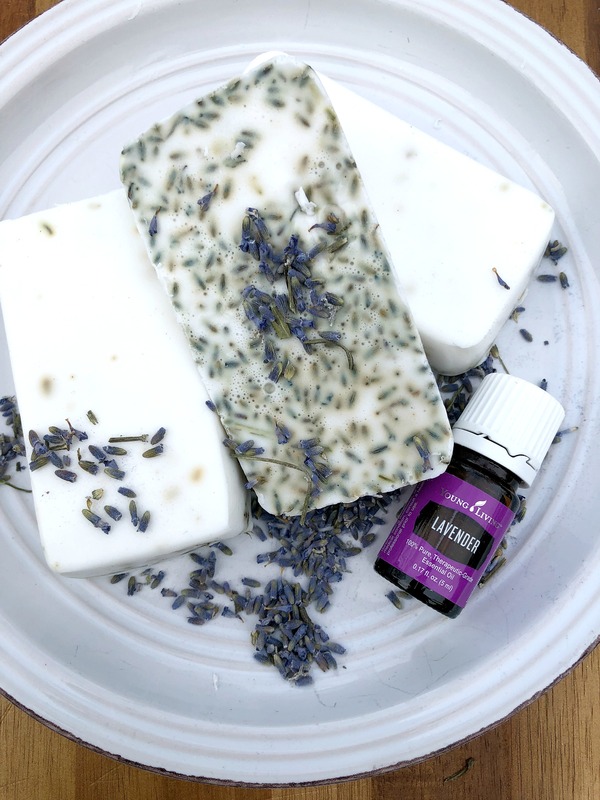 And if you don’t want to have to worry about making your own soap, or worry about the chemicals you are putting on your body each day in the bathroom, you can just get started with Young Living essential oils and purchase their amazing, safe, natural, good-smelling products! 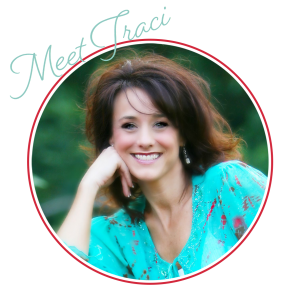 They have an amazing line of products for a healthy lifestyle. I also wanted to share with you the TWO essential oil classes I will be teaching this week online. Just save your spot by clicking the button below. I will send you the link to the class via email about an hour before the class starts. I hope you can join me for this free online class. Just save your spot by clicking the button below. I will send you the link to the class via email about an hour before the class starts. Just to clarify, the recipe only calls for 1 package of soap base and an essential oil for smell? What a fun idea and look relatively easy. 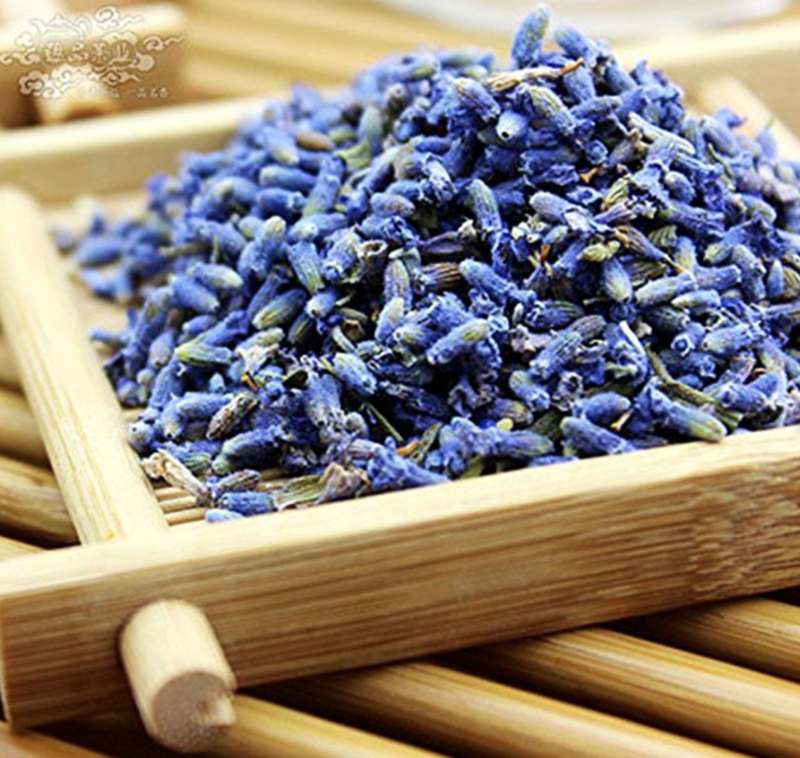 I have a lavender plant that is pretty big and blooms so beautifully in the summer. this would be a great way to use the dried flowers. Thank you for sharing this. 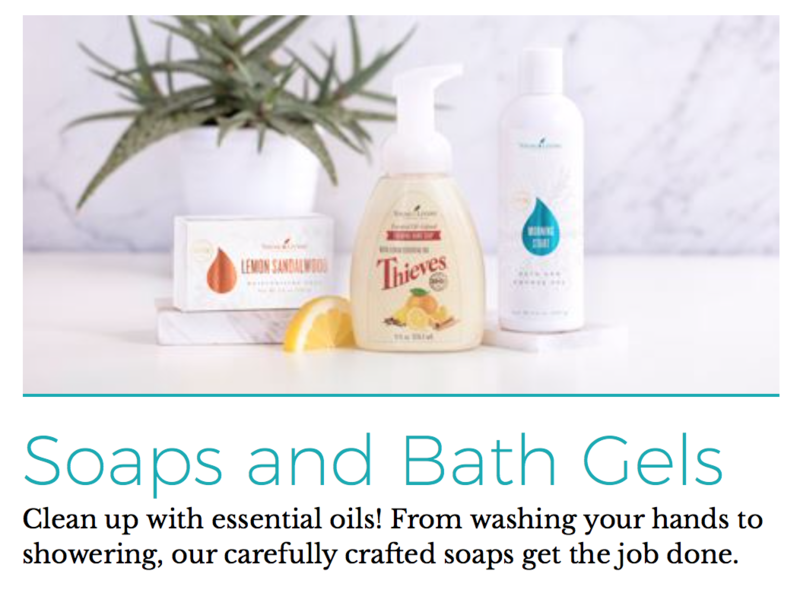 That’s great that you’re discovering somewhat more natural soaps. 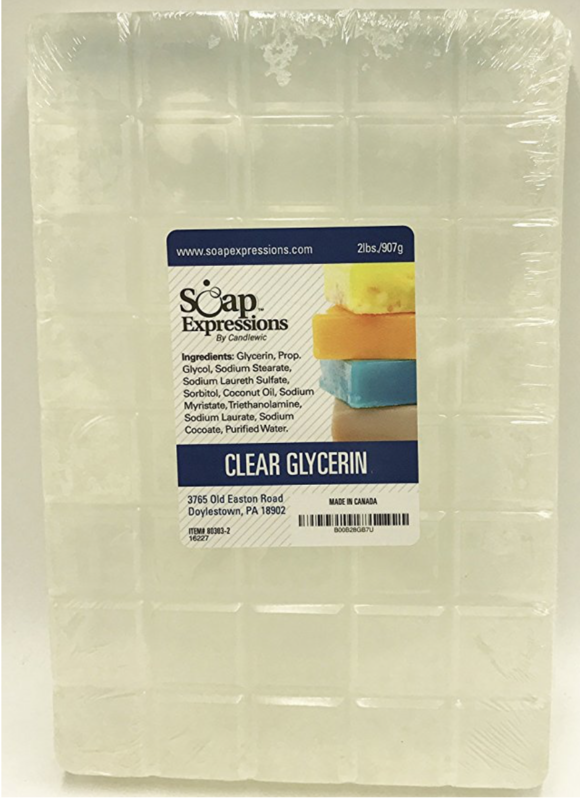 I’ve been making soaps using natural ingredients for over 20 years, but actually making the soap with an acid and base. It’s very staisfying and NOTHING can compare to it. 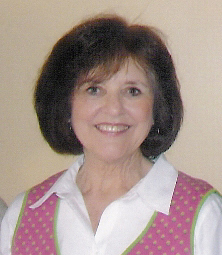 I’ve developed my own fool-proof recipes, but there is an avid soap-making community on-line! It’s worth trying, but be sure to get good instructions and use a stick mixer for quicker results.